At the Tokyo Game Show a couple of weeks back, Sony demonstrated Remote Play on PlayStation Vita, showing PlayStation 3’s Killzone 3 being played remotely on the portable system. Sony Worldwide Studios President Shuhei Yoshida has shared additional details on the company’s plans for the feature in an interview in this week’s issue of Famitsu. The TGS demonstration was actually done via a wired connection between the PS3 and Vita. This was necessary because of the high volume of people at the event potentially causing interference. Yoshida promised that in more realistic circumstances, you’ll be able to play wirelessly at the same level of speed shown at the event. PS3 titles that are played via Remote Play need a bit of customization for memory and CPU use. Sony is finishing up work on a library that facilitates this and will be sending a beta version of this out to developers to test upcoming and old titles. While Yoshida did not say when support will be ready for PS3 games, Vita owners will get to try out one area of the capability at launch. Sony is finishing up work on the required customizations for Torne, a popular first party device that gives the PS3 digital video recorder capabilities. Following a December update, this will support the feature on the Vita. 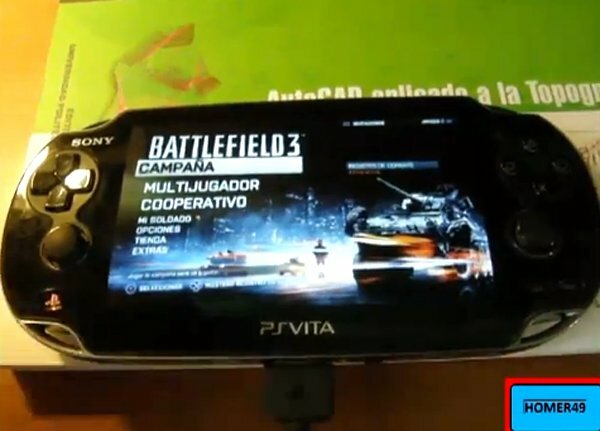 Outside of streaming gameplay, the Vita can be used as a controller for your PlayStation 3. The system’s screen can also act as a sub monitor. Yoshida said that Sony is looking into creating utility libraries that will allow PS3 developers to use the Vita’s touch screen and rear touchpad to make game controls more intuitive. A vita owner in Japan running PSX(PS1) games on via a PS3 console!